I was invited to contribute to TS Shipping’s “Ultimate Guide to Preparing for Your Move“. If you are preparing to move right now, be sure to check out the article, which includes insights from myself as well as Realtors based in New York and Florida. If you are considering a move in the next year, please read my guide below. It’s not too early to get started! 1. Start packing before you list your home. You heard that right – before it’s even up for sale. When I am working with clients who are selling their home and preparing to move, I suggest they begin to start packing before we put their home on the market. Preparing a home for market means massive cleaning and de-cluttering. 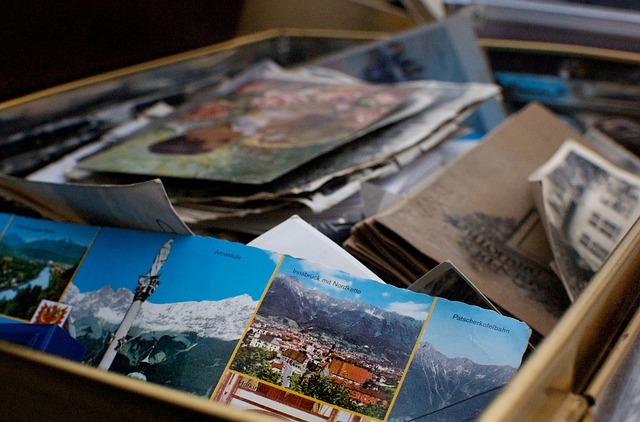 I suggest my clients think of this de-cluttering process as preparing for their move. It should involve tasks like packing up books, sentimental belongings and off-season wardrobe items. Toys, clothes and damaged furniture that are no longer used should be donated or tossed. I have worked with people who had multiple sets of china and linen closets filled to the brim with towels and linens that were not used in years. All of these items should be dealt with before the house is put on the market. Once a buyer is found for the home, the process becomes more stressful and will move pretty fast. 2. Be prepared to move quickly. Can you be out in a matter of days? I have had some clients work on preparing their home for market 6 months before they actually listed. Sometimes a relocation or opportunity to upsize or downsize mean people need to move in a matter of days or weeks. There are professional movers, packers and organizers that can help if you have more money than time to allocate to the task. Don’t be afraid to ask and or pay for help. And you can never start too early. 3. Found a buyer? Great. Keep going. Don’t celebrate too long. Ramp up the packing now that it’s a go. Once the home is on the market, the packing process should continue. After a buyer is found, the home will change hands in a matter of weeks. Usually a home inspection will reveal items that need to be repaired. This accelerated timeline can cause additional stress for people who have not prepared to move. Schedule a mover at least one-month in advance. 4. No, you will not remember which box you put the silverware in. Get out your Sharpie and labels. Whether clients are moving across country or across the street, it still makes sense to box everything, carefully label it, and hire professional movers. In rare cases where items are damaged or missing, the professional movers carry liability insurance that will pay to replace those items. It is also less stressful for most people to know they are moving in a single weekend instead of moving items here and there and spreading the process over days or weeks. I have seen clients become completely worn out when a move seems to take a month instead of a few days. No one wants to eat on paper plates and hunt for packed items for days on end. 5. Don’t forget some toilet paper and these loose ends. Think of the new owners. And think of yourself. Once all the personal property is out of the home, it should be completely empty and professionally cleaned for the new owners. An inexpensive and very nice thing to do is to leave the new owners a spare roll of toilet paper. Your family will thank you if you have one with you at your new place. And don’t forget to turn off utilities and cancel insurance! In summary, moving does not have to be stressful. The key is to get rid of items that won’t be moved and pack up items that won’t be used well in advance of moving day. Do you have great tips to share? Please leave them in the comments below.